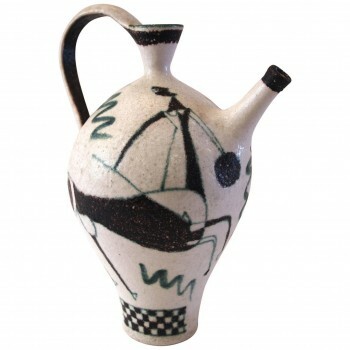 Guido Gambone made is debut in the pottery art. World War II put a time curb its production, which will take over again in the years 50-60 in Florence, and reach its aesthetic zenith. 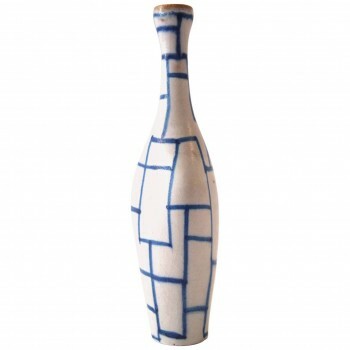 His technique is indicative of a creative experience from the most important in the history of ceramics in the twentieth century. The talent of Guido Gambone is a pure and generous talent, where technique and inventiveness mingle with nature and its creations to simple forms associated with shimmering colors denote an undeniable sense of humor, particularly in the animal register. 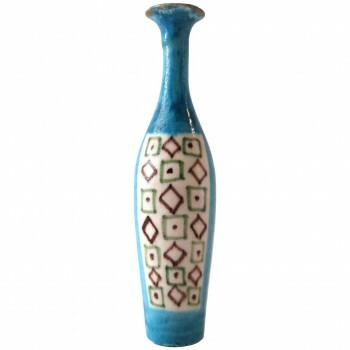 Its production, as impressive for its quality, creativity and quantity, is collected and exposed worldwide. 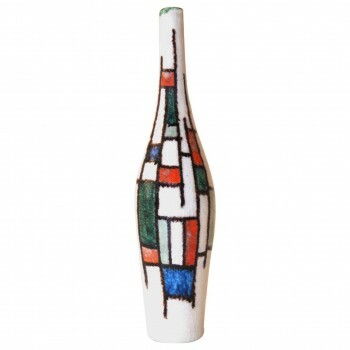 Guido Gambone Ceramic Vase, Italy, Circa 1950. 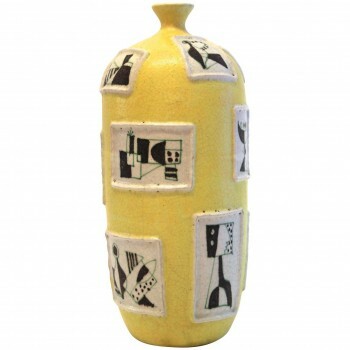 Guido Gambone, ceramics, Signed: Gambone, Italy, Circa 1950, Italy. Height: 46 cm, diameter 20 cm. 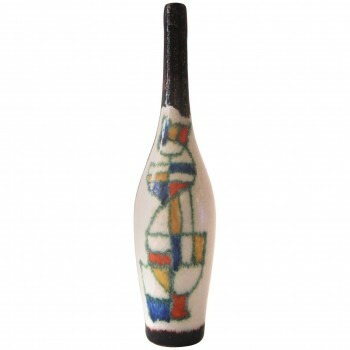 Guido Gambone, Signed Ceramic Bottle, Circa 1960, Italy. 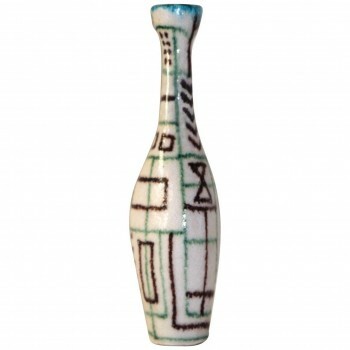 Guido Gambone, Bottle decorated glazed earthenware, Signed and stamped: Gambone, Circa 1960, Italy. 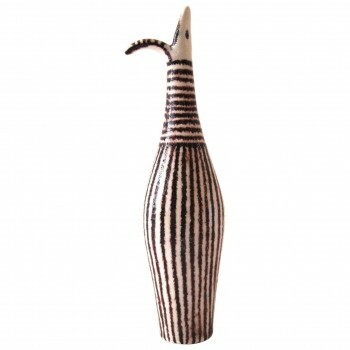 Measures: Height: 22 cm diameter: 3 cm. 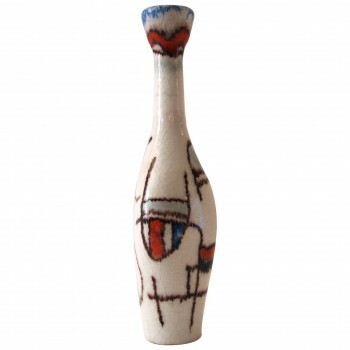 Guido Gambone, Signed, Ceramic Bottle, Circa 1960, Italy.